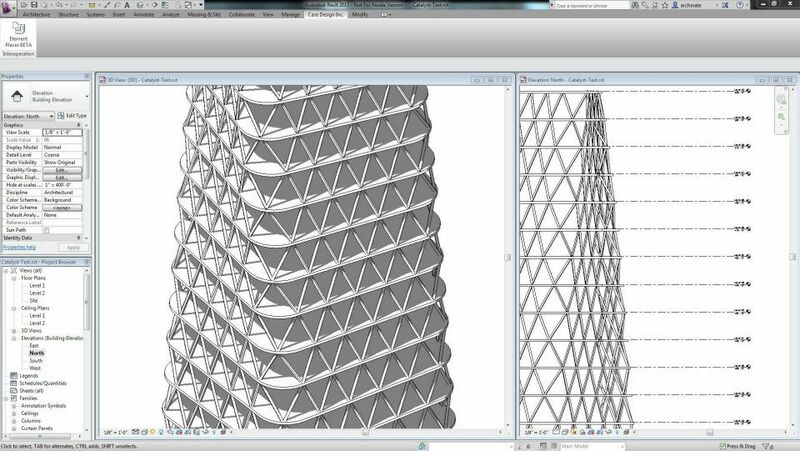 In the meantime, here is a short demonstration of a new capability for coordinating Floors between Grasshopper and Revit. Towers often undergo numerous changes to their form as the design evolves through concept, schematic, and design development. As these changes occur, it can be a tedious experience to update a Revit model to reflect floor slab changes... especially with more formally expressive towers where each floor edge might be unique! This video demonstrates our approach to a workflow that allows for information to update the Revit model as changes are reloaded in. Open Sourcing some of my tools is something that has been on my mind for awhile now. While it is not quite clear what the primary advantage of doing this will be (they are already free, after all), I see it as a way to continue to promote a culture of sharing computational processes. I also see open sourcing tools as a way for them live on beyond a standard update-release model and give the workflows and concepts the opportunity to become a part of other tools and processes. Slingshot! hasn't seen a significant update in awhile and I hope that this will give it the juice it needs to go to the next level. and the freedom to share the changes you make. ...Visit the Slingshot! source on GitHub...!!! UPDATE: Okay, okay, okay.... you got me. As if the all-to-obvious name and under-cooked logo were not already dead giveaways... Yes, Cricket for Sketch-up is April Fools fiction. Interestingly (or maybe sadly?) this post has resulted in more unique daily traffic to The Proving Ground than any other single day of traffic. Is it really that funny?... or is there really a compelling need in the design community for a visual programming language for Sketch-Up? Let me know what you think. The Proving Ground is proud and excited to announce a new innovative plug-in for 2013: Cricket for Sketch-up. This new tool will usher in a new era of generative design that is combined with Sketch-Up's painfully easy-to-use modeling interface.